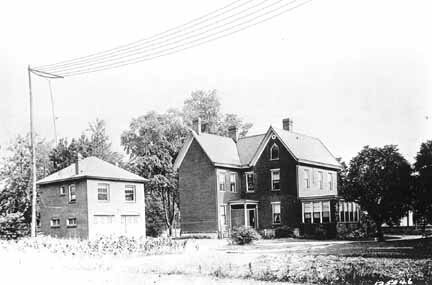 In 1919-20 Frank Conrad founded the broadcasting industry in a small red-brick garage behind his home on the borderline of Pittsburgh and Wilkinsburg, Pennsylvania. With bare wires, crackling spark coils and homemade vacuum tubes, Conrad pioneered an industry that has become the world's primary source of news and entertainment. Conrad's later work in shortwave radio enabled instant worldwide communications for the first time in human history. His experiments in television helped to pave the way to our modern TV system. His contributions to science and industry went well beyond “broadcasting,” a term he coined according to some sources. He earned recognition in a variety of fields and, although not a household name, his concepts and inventions touch peoples' lives everyday. Indeed, broadcast receivers are in nearly 100% of homes and the broadcasting industry generates more than $55 billion annually in revenue in the U.S. alone. 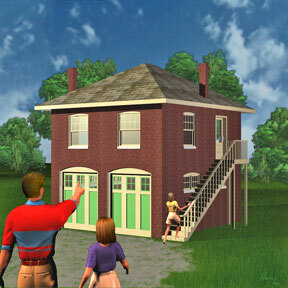 Yet as the broadcasting industry grew and prospered, the little garage where it all began essentially became forgotten. Although cosmetically remodeled over the years, the original structure remained remarkably intact. It was nearly demolished in the 1970s but ultimately survived into the early 21st century. It was saved at the eleventh hour by a small, dedicated group of broadcasting historians who were able to have it dismantled brick-by-brick when the property was sold to make way for a fast food restaurant. 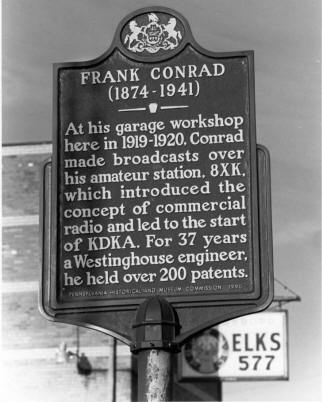 Now the goal of the “Conrad Project” is to reconstruct the garage as the centerpiece of a National Museum of Broadcasting in the Pittsburgh area, where perhaps more pioneering work in radio and television was accomplished than any other place in the world. Properly funded and developed, NMB could become a major tourist destination for the state, attracting visitors from all over the world. As broadcasting celebrates its 90th anniversary, it is hoped that regional and industry leaders find this project worthy of their promotion and their financial support.